Home Innovation	DENIM EXPERT LTD. LAUNCH SECOND RANGE OF MEN’S PRODUCT DEVELOPMENTS FOR SPRING/ SUMMER 2020. Composition: 92.5% Cotton/ 6% Polyester/ 1.5% Elastane, indigo dyed, ring spun stretch denim. Wash: Vintage aged wash with whiskering and local distress and repair detailing. Following the successful reception of the new product developed for Spring/ Summer 2020 at the KINGPINS show, Amsterdam, we at Denim Expert Ltd. are very pleased to highlight the next selection of men’s’ product that has been developed for the season. 98% Cotton/ 2% Elastane, indigo dyed, ring spun, comfort stretch denim. Weight : 10.50 OZ before wash.
Wash: Medium vintage used wash, with localized fading effects and damage. All of the developments being shown here will be on display at the forthcoming BANGLADESH DENIM EXPO, being held in Dhaka, Bangladesh on 7th and 8th November 2018. As with previous seasons, we began our product developments with extensive research into fabrics and have focussed our attention on stretch articles for men. We have introduced a range of shades from intense indigo through to lighter shades for the season, with particular attention paid to the weave characteristics and weight of each article. 99% Cotton/ 1% Elastane, indigo dyed, comfort stretch, ring spun denim. Weight : 11.00 OZ before wash. The range features a variety of permutations of slim fit jeans and all of the models have been engineered to offer the highest comfort levels and the latest in refined styling details. 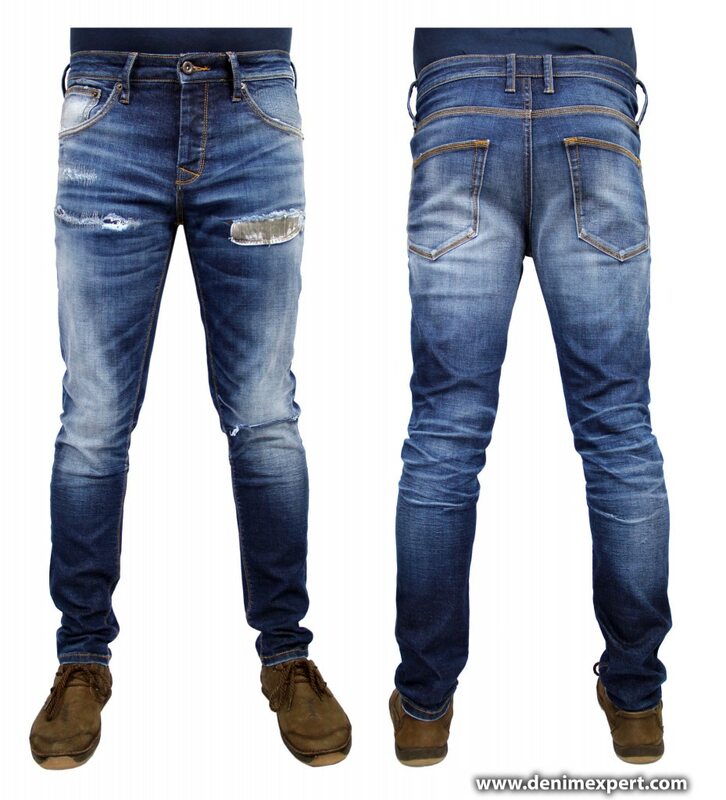 Men’s, styled, slim fit 5-pocket jean, with triple needle stitch detailing. 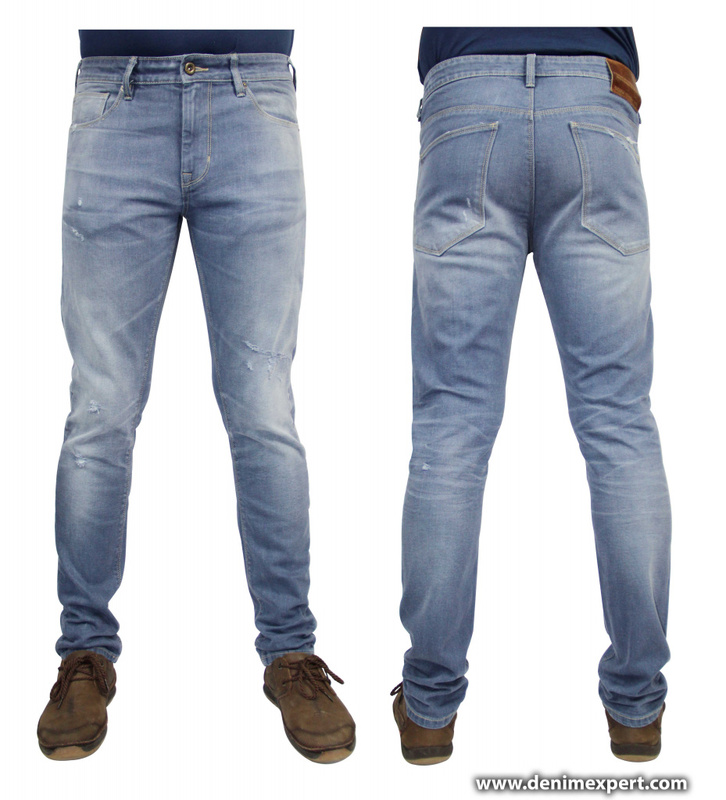 84% Cotton/ 14% Polyester/ 2% Elastane, indigo dyed, cross-hatch effect, comfort stretch denim. Wash: Vintage used wash with whiskering, localised fading and subtle patch details. Whilst developing the product line, we paid particular attention to the finishing techniques developed for the collection and have made a concerted effort to develop a range of interesting, natural finishes, utilizing the latest in finishing technology, paying particular attention to the environmental impact and sustainable credentials of the applications used. We are proud to say that all of the product developed for Spring/ Summer 2020 was finished using the most sustainable techniques available. 98% Cotton/ 2% Elastane grey comfort stretch denim. Weight: 11.25 OZ before wash.
Wash: Hand finished, vintage aged wash with local distress details. We look forward to welcoming customers, business associates and friends to our booth at the Bangladesh Denim Expo where the full range of product developed for Spring/ Summer 2020 will be on display.